A festive classic look with delicate lace accents on our Lace Slip dress. Made of 100% Cotton with double tucks at the hem. Finish the look with a Satin Ribbon Sash in both red and white. This dress can be worn for Valentine's day, Easter and many other special occasions with the simple change of the sash! Add on additional sash colors here. 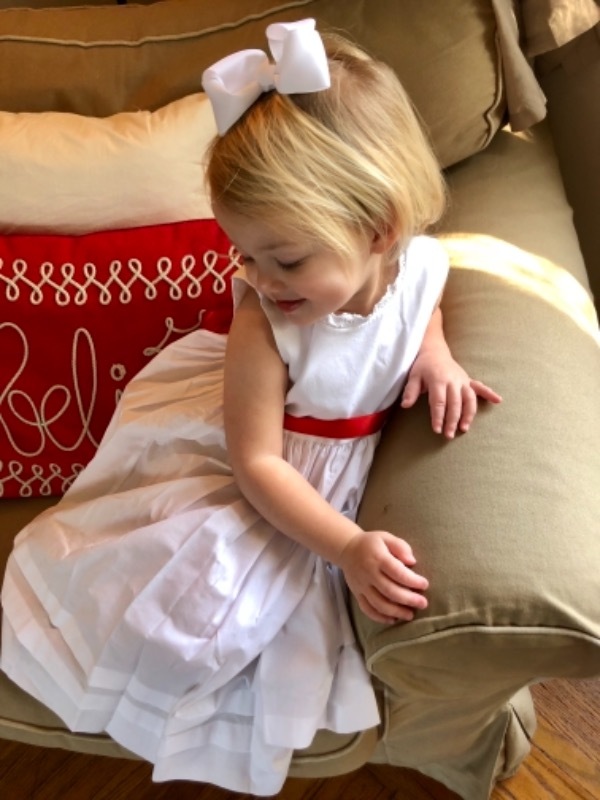 The lace slip Christmas dress looks absolutely beautiful on my 2 year old daughter! She received lots of compliments on it and wore it to see Santa this year. Very good quality and fits as expected. Very pleased!